Six scholarships of £5,000 are available for new MSc students (non-University of Hull graduates) and these are awarded on the basis of academic excellence. All new international students not in receipt of a scholarship will automatically receive a £1,000 bursary. Applications must reach us before the deadline of 27 July 2014 for entry in September 2014. Successful applicants will be notified by 7 August 2014 and the scholarship will be offset against your tuition fee at registration. Please note that scholarship applications submitted without all requested documentation will not be considered. For more information, please visit official website: www2.hull.ac.uk. 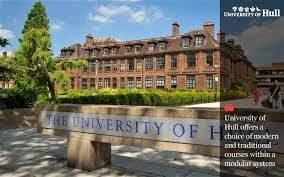 Demikianlah informasi mengenai Business School International MSc Scholarship, University of Hull, UK semoga berguna bagi anda.